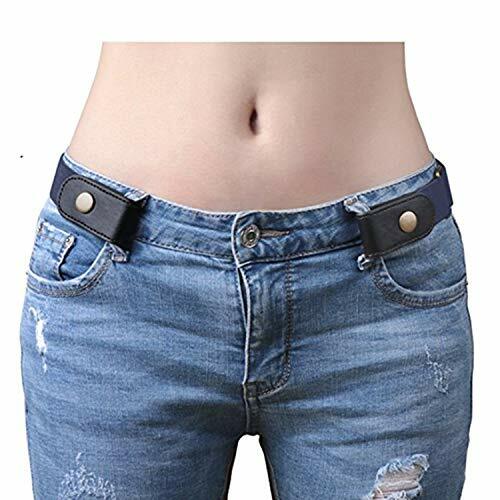 ☘ Adjustable Size- S: Pants Size 24"-38",L:Pants Size 36"-48". 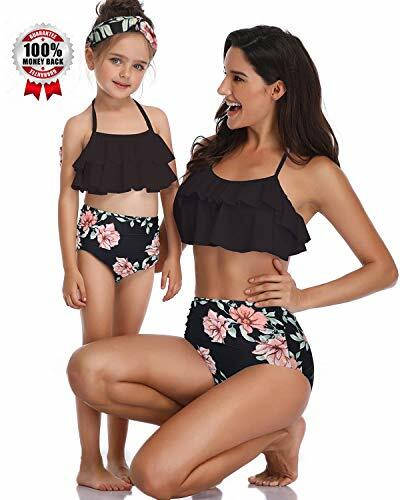 If you are not sure about the size, go bigger. 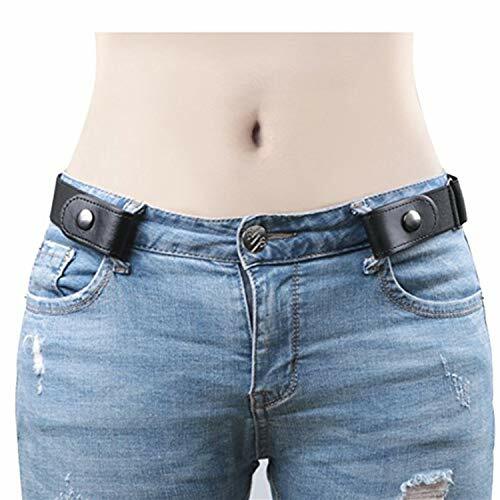 If it's too large or small for you,just adjust it by sliding the metal bar and you'll get the right size.Please make sure if the size range will fit you well before the order,since it may add some stress on your pants loop if you keep it too tight. 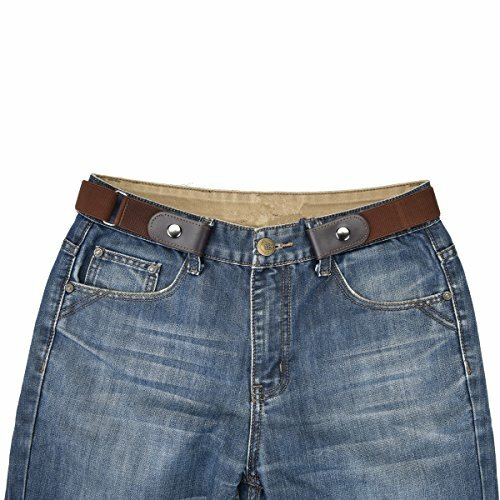 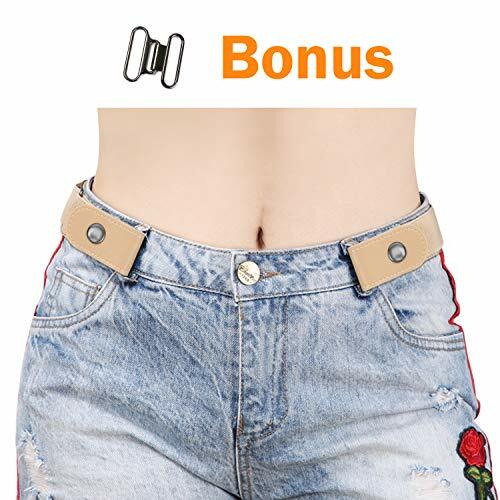 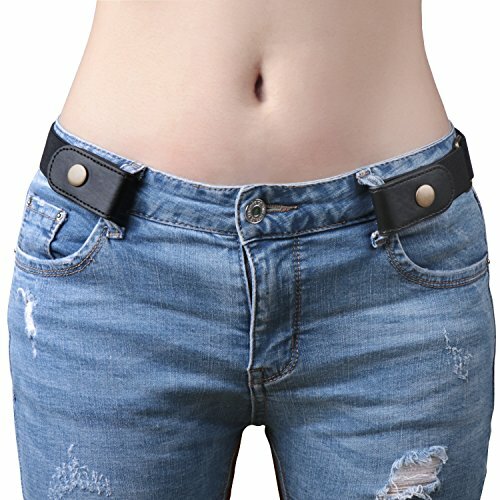 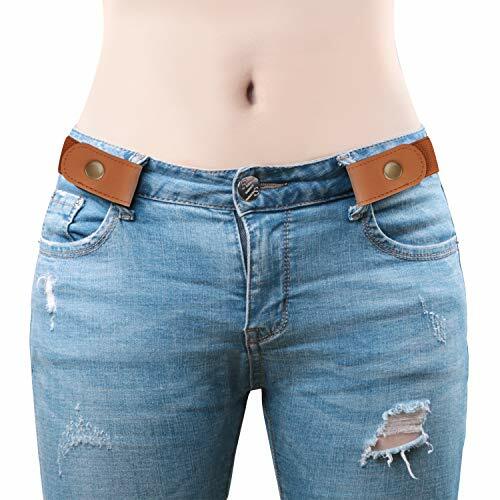 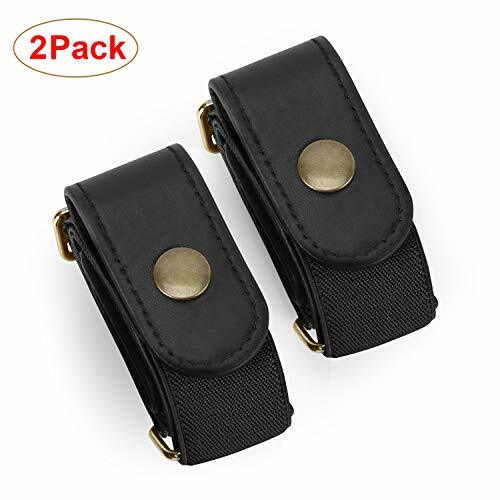 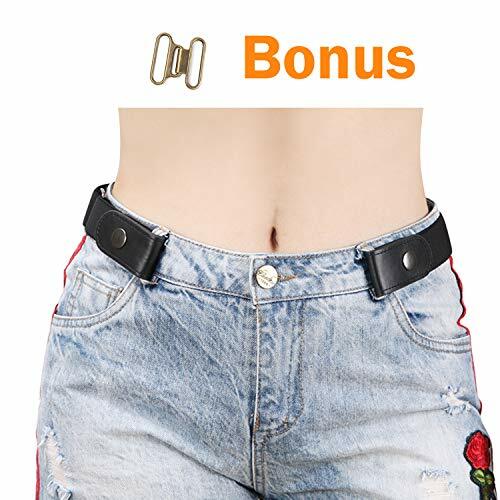 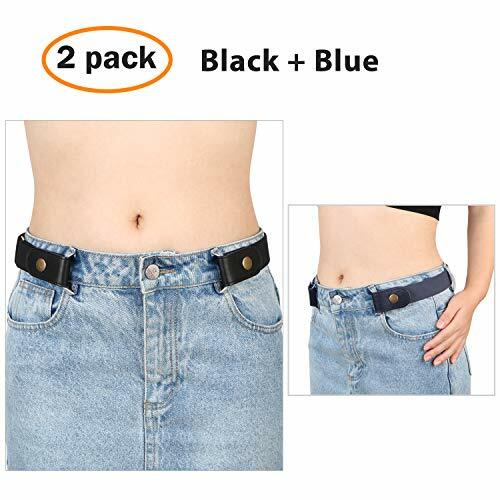 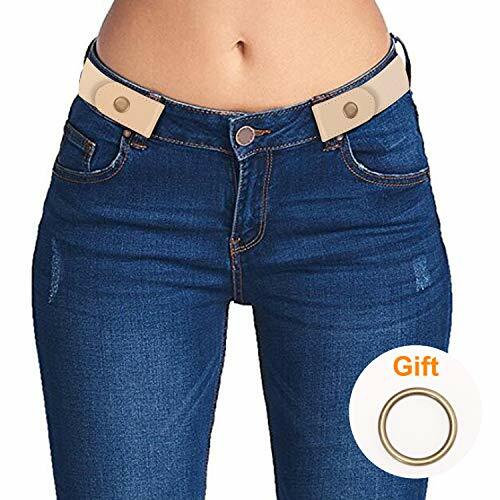 ◕‿◕ NO BUCKLE BELT- Super Comfortable,feels like you are not wearing a belt at all, and it holds up your pants as well. 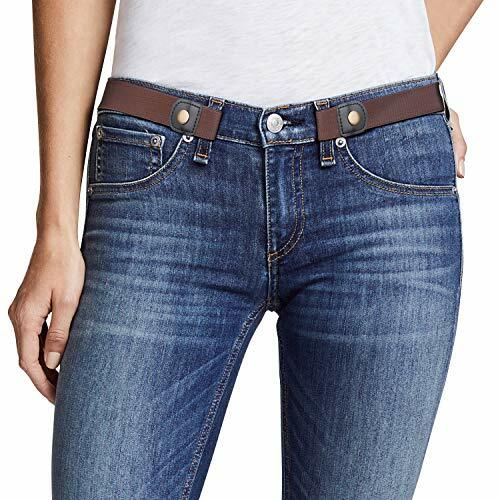 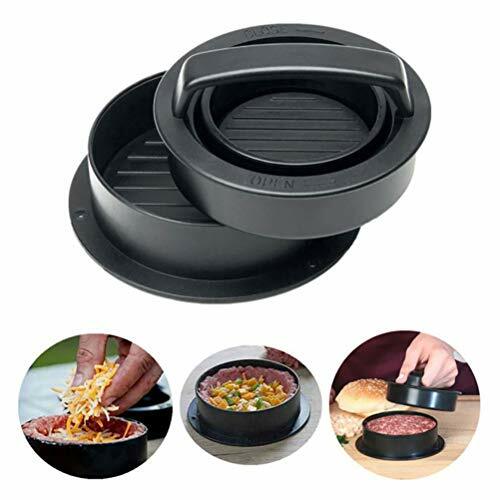 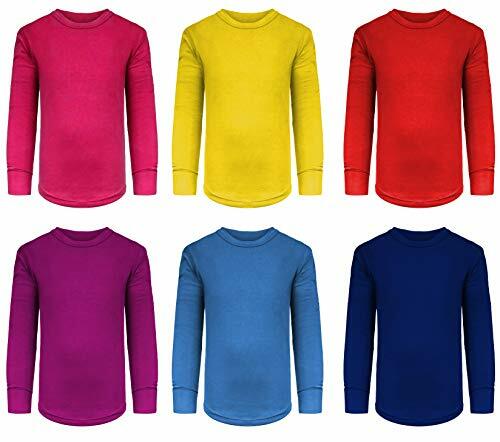 No annoying buckle,No allergic,No bulge under your clothes, No show and invisible. 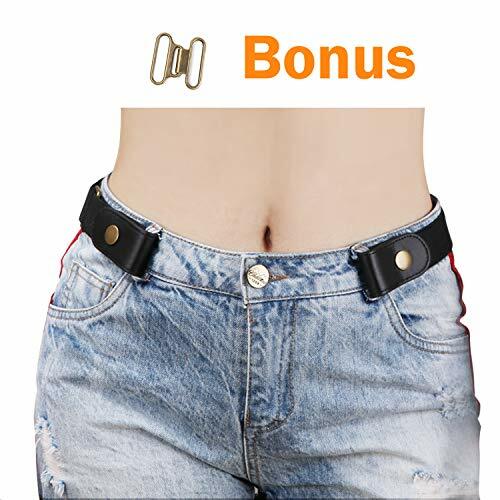 No buckle pressing into your belly. 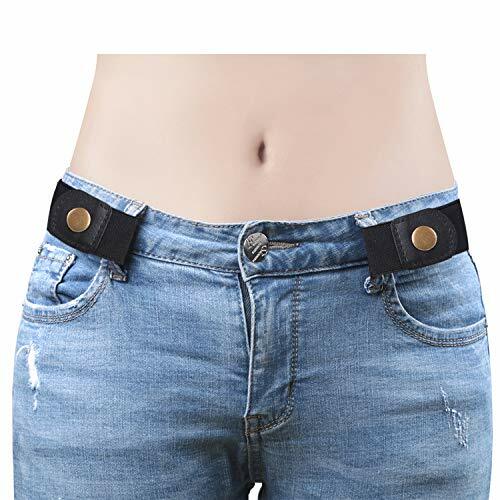 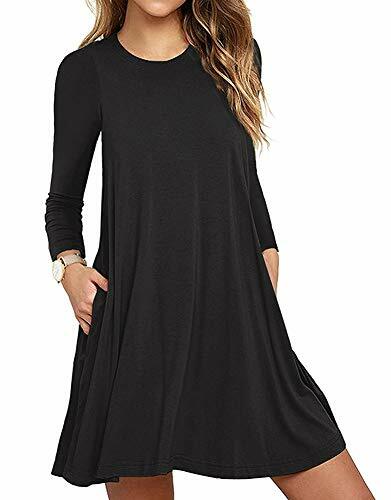 ◕‿◕MAKES LIFE EASIER- Just snap on once and forget you're wearing a belt all day.It's time saving,Hassle-free dressing.No need to mess with the belt when going to the bathroom. 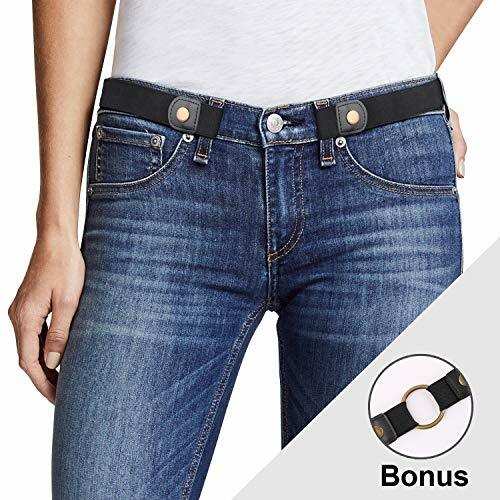 Make your days stress-free with this convenient belt. 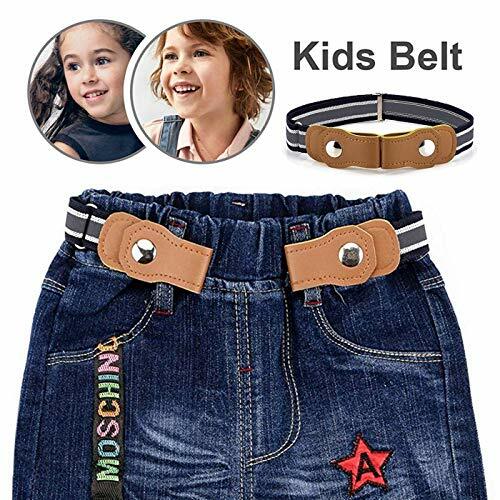 ◕‿◕GREAT FOR ALL FAMILY- This belt is good for men and women,and kids from potty-training to school. 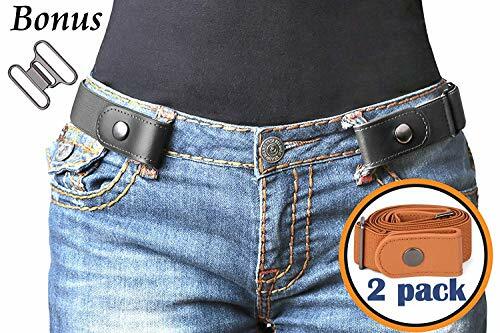 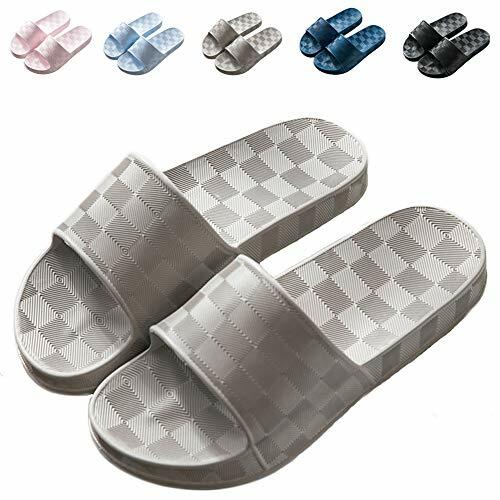 For seniors who may find belt buckles cumbersome,and for people who are always driving and sedentary. 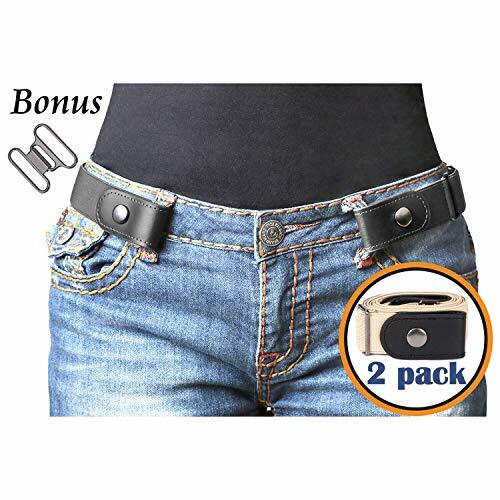 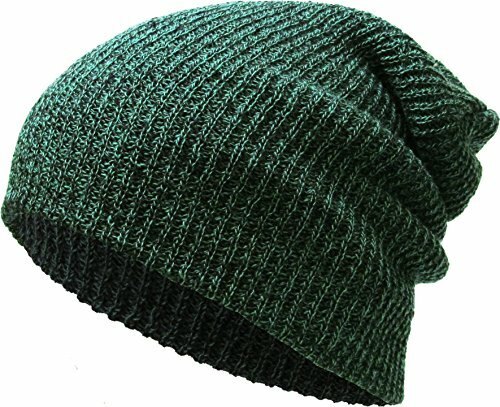 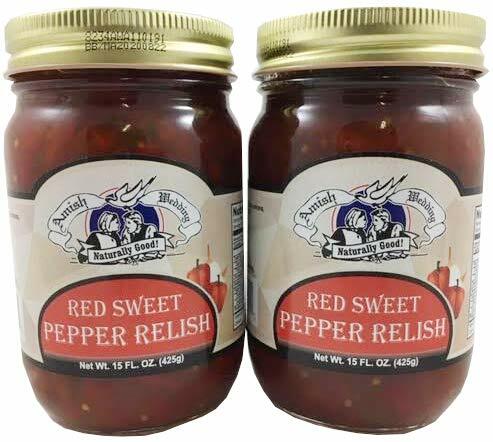 Also a ideal choice for pregnant women when weight changes, or for special needs. 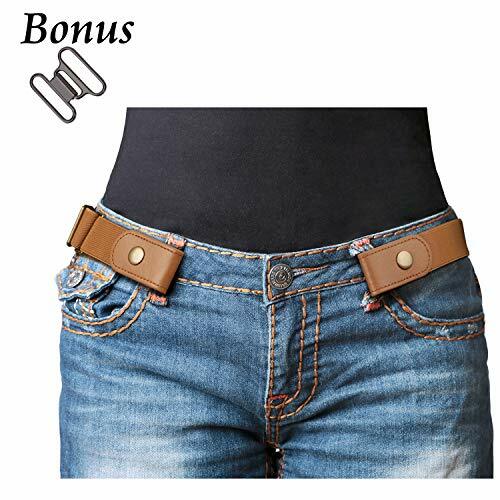 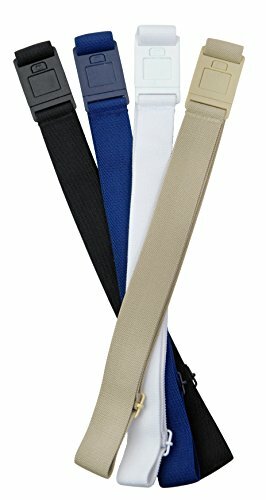 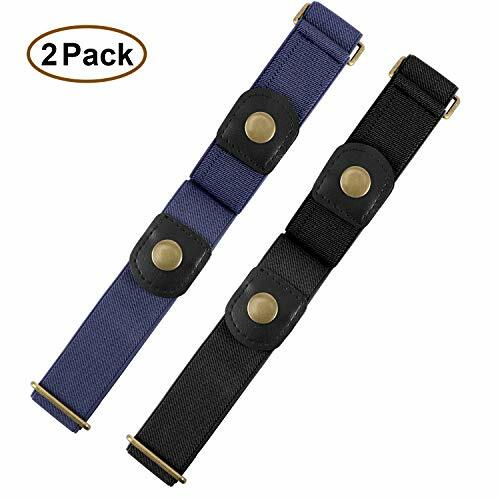 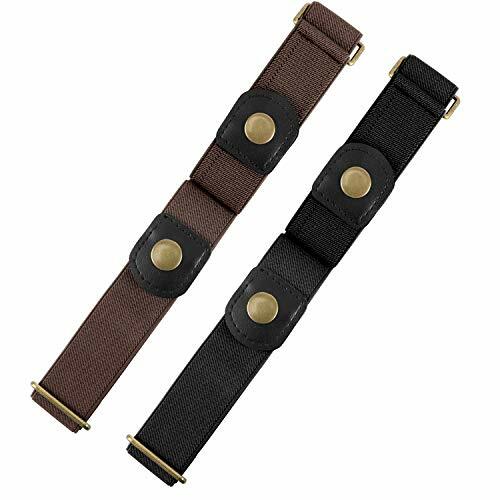 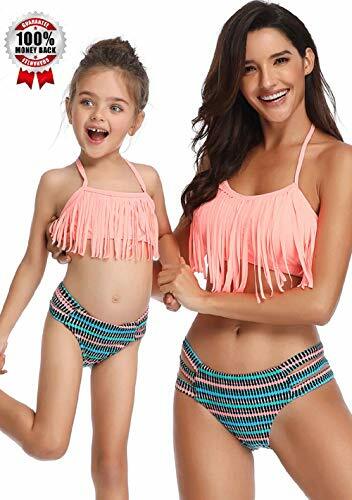 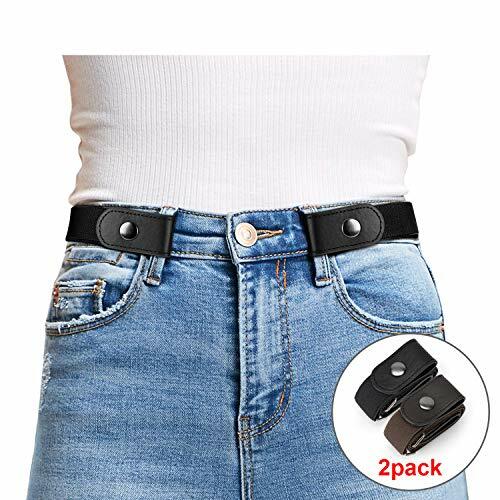 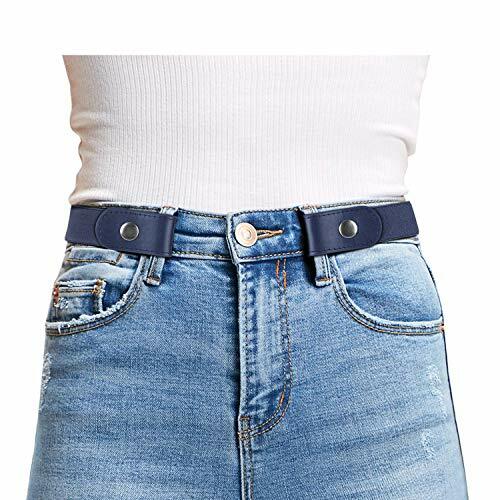 ◕‿◕COMFORTABLE STRETCH BELT- Made of lightweight and breathable elastic material,this stretch belt allows for free movement, more comfortable during sitting, standing, bending down than the traditional belts. 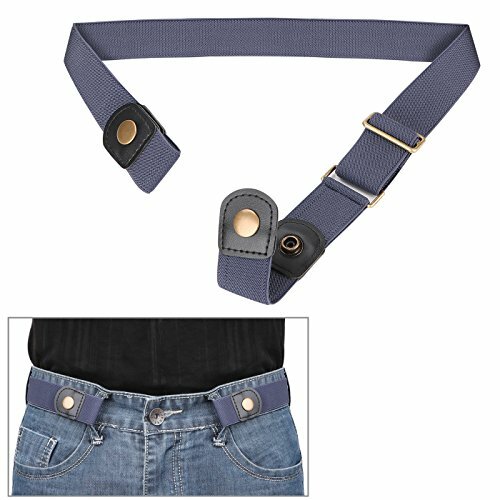 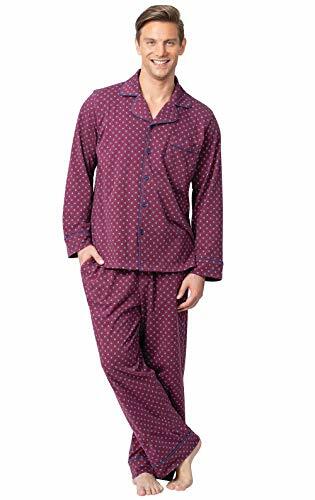 ◕‿◕EASY TO USE & ADJUSTABLE- Suit for Pants Size 34"-38",Very simple to use with the easy snap closure. 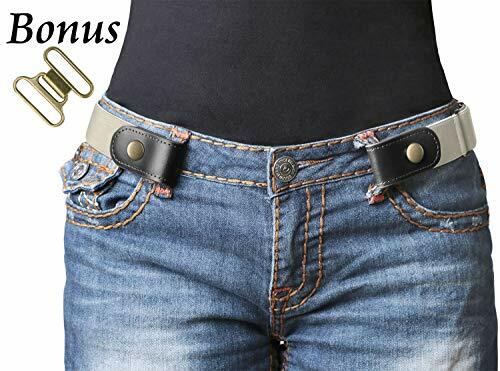 Infinitely adjustable to the perfect size you want, also can shape your waist well, show your perfect body.